Recent advancements in technology have made it easier than ever for parents to keep in contact with their children through a trend commonly known as virtual visitation. Virtual visitation involves the use of technology by non-custodial parents to speak with their children when they cannot be physically with them. 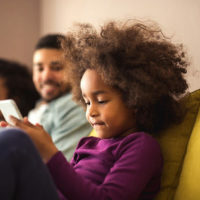 Although courts have warned against virtual visitation becoming a replacement for physical interaction, this practice has become increasingly popular for parents who do not live in the same city or state as their children. That being said, there are also a number of drawbacks to including virtual visitation in your custody arrangement, so if you and your spouse have filed for divorce and have questions or concerns about whether virtual visitation could be a helpful solution for you and your family, please contact a dedicated Fort Lauderdale child custody lawyer in your area who can advise you. Increasing access to smartphones has made video conferencing, in particular, easier for parents to use than ever. However, while the Florida Legislature has adopted rules allowing for the use of virtual visitation in custody arrangements, it has also specifically stated that virtual access should only be used to enhance and supplement, but not to replace face-to-face parenting time. Talking with the child about their day at school. This type of contact can help reduce a child’s separation anxiety or feelings of sadness following a divorce, especially in cases where one parent is forced to live a significant distance from the other and cannot regularly see the child, has significant work restrictions, or serves in the military. In cases where two parents have an especially acrimonious relationship, virtual visitation can also help reduce face to face contact between the individuals and conflict regarding visitation. Although there are a number of benefits to using virtual visitation as part of a custody arrangement, there are also a few drawbacks. For instance, if utilized improperly, virtual visitation can be used to replace physical interaction and visitation between a child and his or her parent, which can have a negative impact on that child’s growth, development, and relationship with the parent. It can also be easier for one parent to restrict virtual visitation in an effort to damage the relationship between a child and his or her other parent. 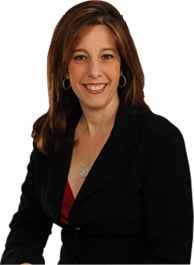 To speak with dedicated Fort Lauderdale child custody lawyer Sandra Bonfiglio, P.A. about whether virtual visitation is right for you and your family, please call our office at 954-945-7591 today.